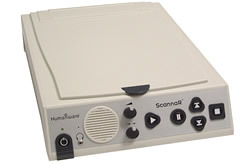 The ScannaR from HumanWare is a flat bed scanner that can translate the printed word into speech at the press of a button. 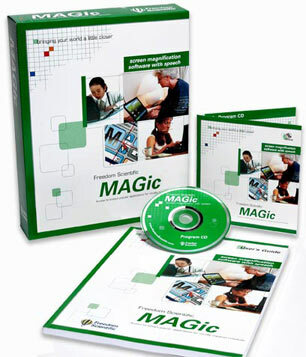 You can read letters, brochures, newspapers, books and other print materials with ease using the ScannaR from HumanWare. ScannaR allows you to scan any printed material, and gives you the option of saving your text to read again later. ScannaR is ideal for educators and students of all levels for scanning and recording textbooks, worksheets, tests and exams. ScannaR is simple to operate all you have to do is place a document on the scanner, press a button, and the ScannaR will read the text in natural sounding speech… it really is that easy. To add a filename to your saved document, just use the built-in microphone. ScannaRs modern design looks good wherever it is. If you are traveling away from home or the office, the optional carry bag means you can have access to printed documents at the touch of a button.